Our all software provides Bill / Voucher format designer which can be used to customize printing format of invoices and vouchers as per your requirement. In our software, we have provided hundreds of reports related to Sale, Purchase, Stock and accounting. These report, can be customized or even new reports can be created using report designer. Using this module, data between multiple branches / locations can be synchronized. This module uses unique online / offline concept. Our software provides online SMS module. Using this module we can send SMS to clients when bill / voucher is prepared or bulk SMS can be send for outstanding amount etc..
Our software provides online E-Mail module. Using this module we can send E-Mail to clients when bill / voucher is prepared or bulk mails can be send for outstanding amount / ledger statement etc. Our software fully integrates barcode. 2D / 3D barcode can be printed on Barcode Printer or Laser / Inkjet printer and sales entry can be done using barcode. . 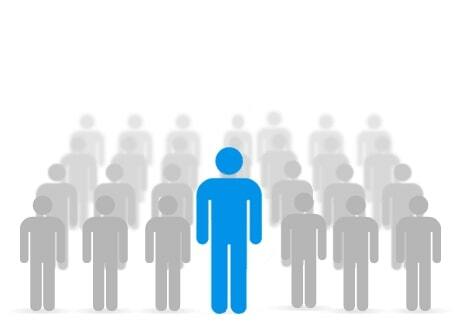 Using this module, promotional schemes can be defined and applied at the time or billing. 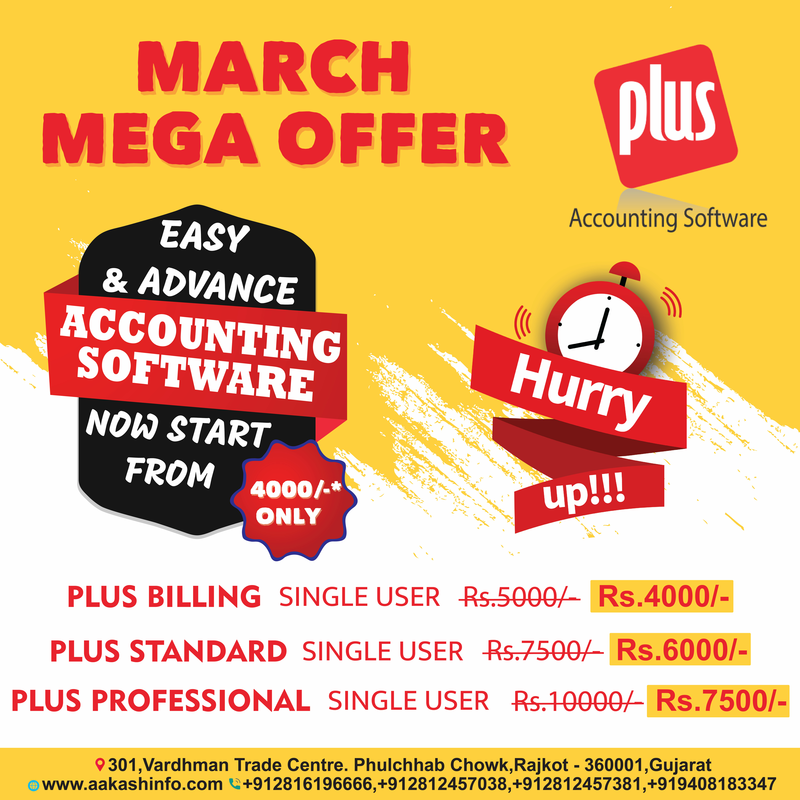 Plus accounting software provides flexible and customizable discount calculation options. Plus and PharmaCare software provides multiple price list option. This module provides flexible pricing option and prices can be set based on product / party / city / area / product group / product category or any combination of these parameters. Our software provides companion android apps for viewing outstanding / ledger of party and stock of products. Our software provides user wise security by which rights for Add / Edit of individual transaction type and View / Print of any report can be set. Our software provides support for Hindi / Gujarati and English language. Even data entry in one language and printing in other language is supported. Easy to Understand and Easy to Operate software. Flexible and Customizable Entry and Report options. One stop solution for different business requirements. Scalable from accountants to large business. WAP Pharmacare cc is a group of 7 retail pharmacies in Namibia. On top of that WAP Pharmacare cc established a pharmaceutical wholesaler. Over the past two years, WAP Pharmacare has been changing software after software for the wholesale. Most of the systems were exorbitantly priced, required month of month fee, and very stiff, it was a take it or leaves it kind of scenario. Unfortunately all of these systems had their shortfalls, making it very difficult to implement and run. WAP Pharmacare cc got so frustrated with all these software until it took a risk to google for software that could do the job. That’s how we met Aakash InfoTech. It’s not more than a year ago, but to tell the truth all our headaches went away. Lala Supermarket is newly arrived in market but has become well-known in short duration. For Managing our Billing, Accounting and Stock Management and many other requirements we needed a fully customize software which fulfils all our needs. We searched in the market for most reliable and feature rich software and we found the best one. We started using POS Plus Version of plus accounting software around 7 months and we are fully satisfied with software performance and company services. POS Plus makes our work easy. It gives fast billing, Inventory management, Client Relationship Management, Schemes Management. Also generates all analysis report like Date wise, Hourly sales, Top selling items, Non-moving items which helps us to figure out stock requirements. POS Plus adapts to our requirement and provides fully Customer Oriented Services. Sheetal Supermarket is well known chain of super markets in Rajkot with chain of 3 Supermarkets as well as Packing unit for food products. Since last 10 years we were using software from Mumbai based developer for inventory, billing and accounting related requirements. We were facing many issues related to bugs in the software and support from the developer. Over the period business expanded and existing software was not able to keep up with the changes required. Also existing software was not running successfully on latest hardware and peripherals. We were disparate to find a scalable software solution for our Super Markets and Packing Unit. POS Plus provides us with fast billing using barcode / touch screen, operator wise summary, MIS Reports, Customer Loyalty management, Promotional scheme management and all the necessary features required in successfully running Super Markets in today’s competitive world. We have an exceptional experience working with Aakash Infotech, I have to say, the management & the technical team have been extremely fantastic, responsive & patient. What we appreciated most about working with Aakash Infotech and their team is their ability to provide on time support, keep everyone happy, and deliver the expected result. We joined Hands with Aakash Infotech in the Month of July and the operations started in the month of August and being in Sports Goods and Sportswear Business it was difficult for us to maintain Stock and Accounting but Plus Professional made it easy for us.